We all love indulging in a cocktail from time to time, whether it’s a tropical Pina Colada, a classic Manhattan or a more unique concoction. These aromatic drinks aren’t just for holiday-makers and after-work socializing though. 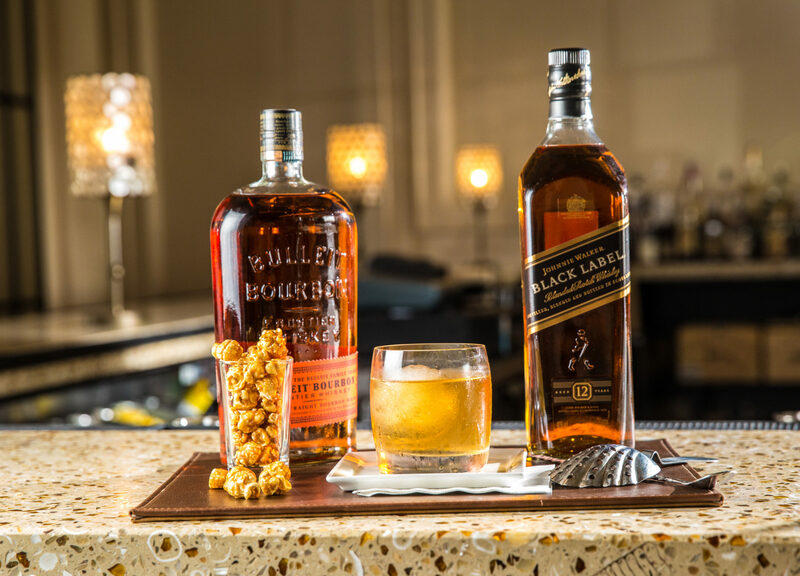 Earlier this year, we saw nine of Cayman’s most talented mixologists go head to head for a place at one of the world’s most prestigious bartending competitions: Diageo Reserve World Class. 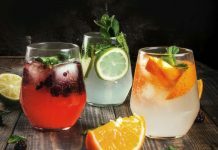 Seen by many as the Olympics of the cocktail world, World Class started in 2009 and provides expert training for bartenders across the globe as well as a chance to get competitive and show off their skills. This year’s Bartender of the Year competition takes place in Mexico with entrants flying in from dozens of different counties. To earn a place at the global final, nine bartenders from Cayman completed a series of challenges over the course of two packed days in June. Only two got through to the last challenge, a pop-up bar round hosted at Anchor & Den. It was Amba Lamb who ultimately won over the judges with her innovative Carnival themed bar. 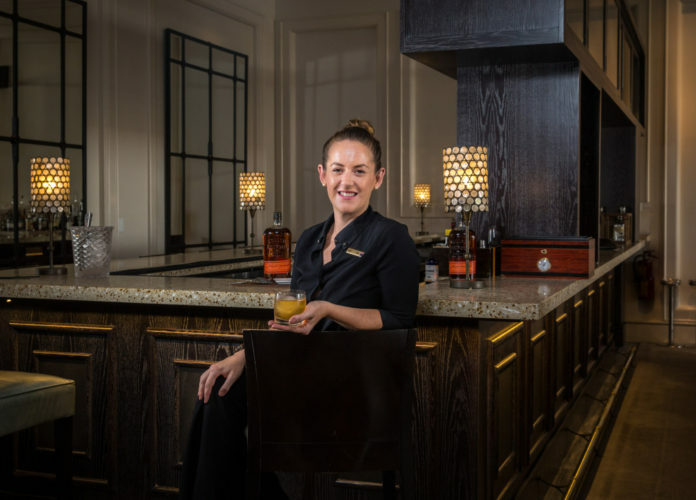 A bartender from Seven at the Ritz-Carlton Grand Cayman, Amba’s winning theme included interactive entertainment and décor as well as some show-stopping drinks. Her signature concoction for the evening was a Candied Popcorn Old Fashioned, but judges also sampled a pretzel-infused Carni Cone and the lemon white vermouth-based Fairy Party, which was paired with the complementary flavors of Cîroc-laced cotton candy. A Candied Popcorn Old Fashioned. Photo by Stephen Clarke. Amba Lamb’s success in the World Class Cayman competition is unsurprising considering the years of dedication and training that came before it. 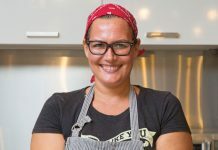 Originally from New Zealand, she began her career in hospitality at 14 working at a local Burger King before moving on to bartend at a student pub. 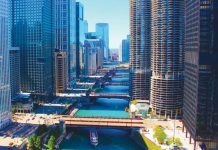 While she had other career pursuits – such as a course in electronics and circuit boards, and a brief stint as a summer camp leader in the U.S. – Amba swiftly realized that bartending was her true passion. 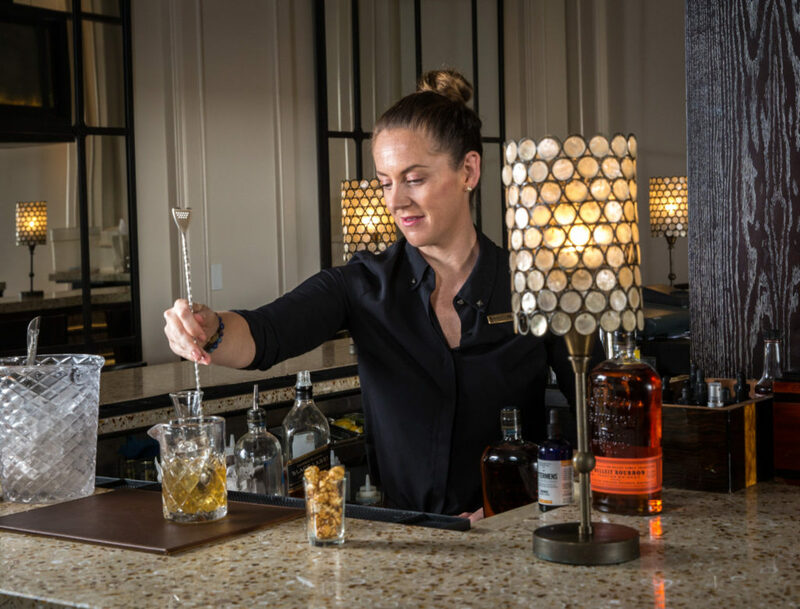 Amba’s journey in mixology has taken her on a whirlwind tour across the globe, with time spent bartending in England, Ireland, Scotland and Canada as well as her home country. In 2014, she made the move to Cayman to hone her skills even further. Amba’s planned six-month stop turned into three and a half years and a job at the Ritz-Carlton, a place where she’s developed massively as a mixologist. Amba isn’t just a cocktail expert. During her time at the Ritz, she’s also become a Certified Sommelier and completed qualifications in Sake and Beer. These have all helped her improve her knowledge and her palate – as has challenging herself to compete in the World Class competition. Amba claims that despite her experience and preparation, it was still a surprise to be named the Cayman champion due to the sheer level of talent here. The next stage of Amba’s competition journey will take her to an intensive four-day bartending boot camp in Cartagena, Colombia and then onto the Diageo Reserve World Class final in Mexico City in August. Let’s see if she’ll shake, stir and muddle her way to success.